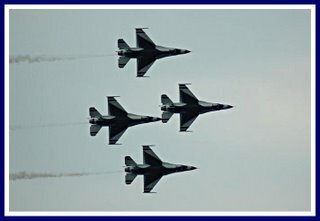 The Thunderbirds performed their aerial stunts at the VT Airshow in Burlington. The aerial displays and stunts were performed over Lake Champlain at the Waterfront. It was actually raining during this performance. I will be posting a series of pictures from the airshow soon.